Filmore Graves announces that they will execute Curtis Lim, one of Liv's coyotes, if Renegade doesn't turn themselves in. Ravi and Levon make Liv promise not to turn herself in. Captain Hobbs visits Major claiming Chase needs to be overthrown and Major can take over as the new leader of Filmore Graves but then Hobbs brings secretly recorded audio of the conversation to Chase to make it look like Major is the one scheming against him. Liv decides to turn herself in but Major catches her before she leaves the house and makes amends with her. He then injects her with a sedative to kidnap her and bring her to Oregon so she will be safe until after the execution of Curtis Lim. A popular social media star zombie known as White Girl was murdered but Liv isn't around to feed on her brains to help Cliv solve the case. Ravi is forced to tell Clive about how Liv is working as Renegade and Major has now kidnapped her to keep her safe (which he found out by talking to Jordan). Blaine determines that the government is cutting off the brain supply which means that either humans will kill the zombies in New Seattle to survive, or the zombies will starve after killing all the humans and then the government will send a missile to wipe them all out, since it's been found out that the government has evacuated everyone in a 30-mile radius around New Seattle. Blaine wants Angus to move forward with his prophecy/plan to send zombies outside of the wall to start infecting more humans so that half the world will be zombies and the other half will be food. Major has brought Liv to a cozy home and the pair have fed on brains that were from an old married couple that were married for many decades. They later find the couple that lived in the house locked downstairs in the basement. A note they left states that Filmore Graves stopped sending brain tubes and they were afraid that they would hurt someone. They had planned for the husband to shoot the wife and then himself but he couldn't bring himself to do it because he didn't want to live without her, even for a second. Instead, they locked themselves up and have now reverted to a more primal zombie state. Since Liv isn't around to help Clive with the case he is forced to feed on the brain of White Girl. As a result, he becomes sassy, flamboyant, and vain. They find out that White Girl had paid $14 million to on a cure from being a zombie. They find out that Angus/Brother Love had spoken out against her to all of his followers for wanting a cure. When Angus is brought in for questioning, one of his followers confesses to the murder so he will be freed but the follower is later set free by a zombie officer that is secretly helping Angus' church. The couple whose brains Liv and Major fed on are revealed to have a twist in their relationship. The wife had grown annoyed of her husband until she decided to crash their car to put herself out of her misery, killing them both. 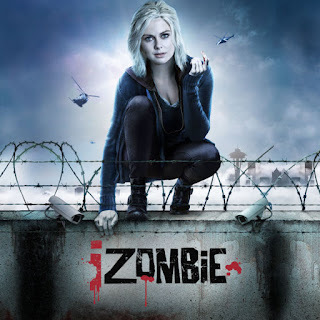 Liv goes from being a loving housewife to locking Major in with the two rabid zombies. Of course he is safe from being fed on but Liv leaves him though she does come back in time to catch Russ threatening to kill him if he doesn't give up the feeding tubes Liv has left for him. She kills Russ before he can kill Major and leaves him locked up with the rabid wife since Russ had shot the rabid husband dead. Ravi feeds on a brain tube after the church follower confesses to killing White Girl. He proceeds to conduct an experiment on Isobel's brain in the hopes of finding a chemical that can be used to manufacture a vaccine. During the experiment, he ends up giving samples of the brain to a normal rat he has injected with the zombie virus and a zombie rat. Clive finds out that Dale broke up with him because she overheard what he said about wanting children. He breaks up with his new girlfriend and gets back together with Dale, insisting that being with her is more important than having children and proposes to her. She accepts. Liv hitchhikes back to New Seattle and sends one of her coyotes to go let Major out of the basement. She is overjoyed to find that Curtis is free but shocked to find out that Levon has falsely confessed to being Renegade in order to make this happen. Blaine orchestrates a false sign to encourage Angus to go through with his plan to send zombies out into the world to infect more of the general population. Blaine orchestrates this by having some of his minions put frozen brains into a woodchopper to make his father think it's snowing brains. Liv turns herself in to Filmore Graves and Levon is set to be released until he attacks Chase. Now both of them are set to be executed with the zombie guillotine. Ravi returns to find both rats are in their normal state, meaning that what's left of Isobel's brain is a zombie cure. 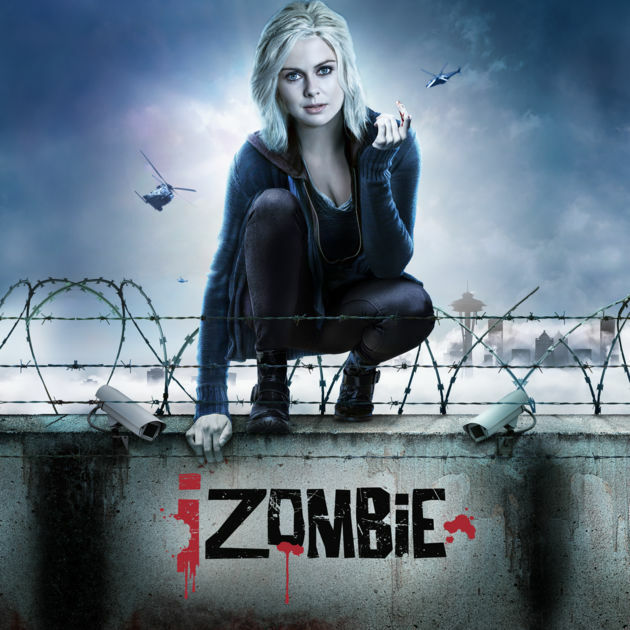 iZombie airs on Mondays on the CW at 9/8c.